Be a country style icon this autumn/winter with Victoria R our women's brogue Chelsea boot in mahogany grain leather, features include an all round leather storm welt for additional water resistant properties. These women's Chelsea boots are the perfect companion for your blue skinny jeans. Fully handcrafted in our Northamptonshire factory, England. Showing 2 of our total 6 reviews, with an average rating of 5 stars. 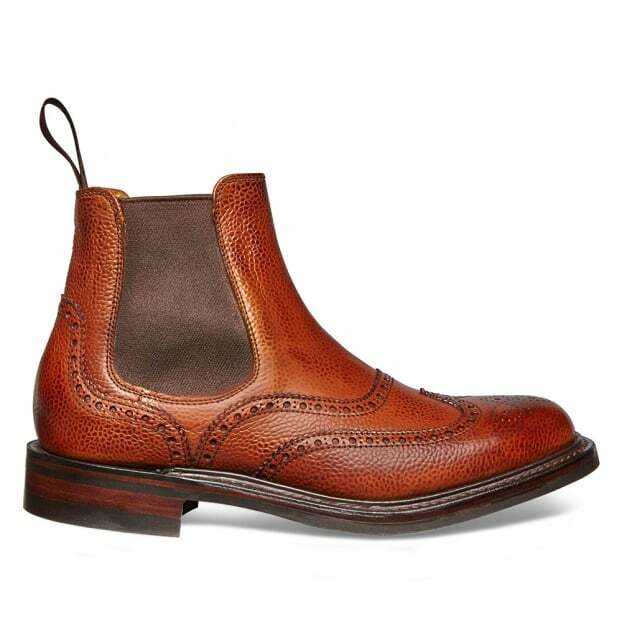 Read all 6 reviews for Cheaney Victoria R Wingcap Brogue Chelsea Boot in Mahogany Grain Leather. I had to wait months for these boots as they had run out of the mahogany colour. It was worth it though. Super comfy, funky, smart, classic boots. Good grip on the sole, soft elastic ankle support and terrific workmanship. They’ve become my favourite shoes. BEST Chelsea Boots on earth! I had to convince myself to not wear them every single day. They work with jeans, dresses and (to my own surprise) office trousers given they end above your ankle.